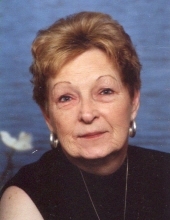 Hazel Anne Jennette Wilkie, 75, of Beaufort passed away on Thursday, January 31, 2019 at Kitty Askins Hospice Center. Anne was born in Wayne County on August 27, 1943 to the late Clinton and Dona Ellen Summerlin Jennette. She was a 1961 graduate of Brogden High School. She retired from the Department of Social Services. At her request, no formal services will be held. Anne is survived by her children, Timothy Bates of Victoria, TX, Terri Potts of California and John Bates of San Antonio, TX; sisters, Peggy Warrick and husband Ronnie of Dudley and Terri Gardner and husband Charles of Goldsboro; sister-in-law, Cindy Jennette of Goldsboro and several grandchildren, nieces and nephews she loved very much. In addition to her parents, she was preceded in death by a son, Thomas Bates; and brothers, Clinton Jennette, Jr. and Billy Ray Jennette. To send flowers or a remembrance gift to the family of Hazel Anne Wilkie, please visit our Tribute Store. "Email Address" would like to share the life celebration of Hazel Anne Wilkie. Click on the "link" to go to share a favorite memory or leave a condolence message for the family.